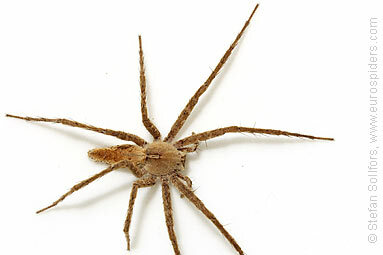 Female Pisaura acoreensis, head-on view. 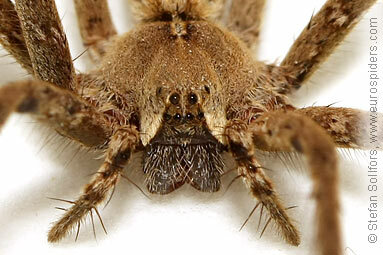 Female Pisaura acoreensis, close-up of the face. 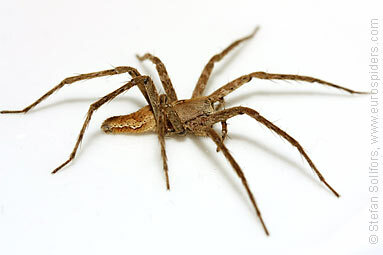 Female Pisaura acoreensis, side view. 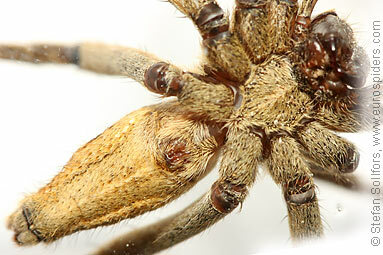 Female Pisaura acoreensis, side view, close-up. Female Pisaura acoreensis, guarding its nursery web. 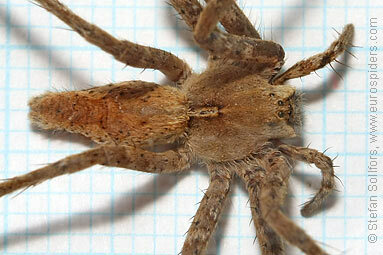 Female Pisaura acoreensis from below. 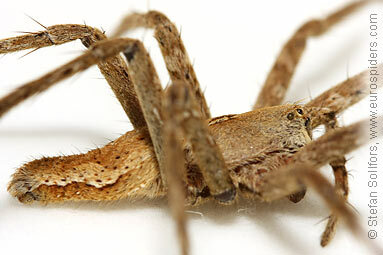 Female Pisaura acoreensis, close-up of epigyne. 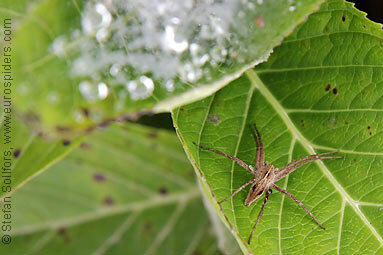 Female Pisaura acoreensis, about 13 mm. 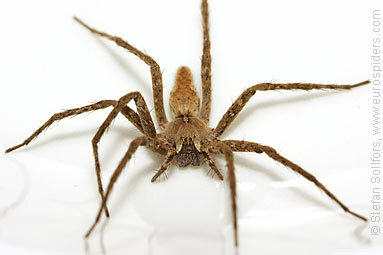 This Nursery web spider, Pisaura acoreensis, lives only in the Azorean islands.